At the 2007 World Car of the Year awards, there was no question about which car would take out the category of Performance Car. 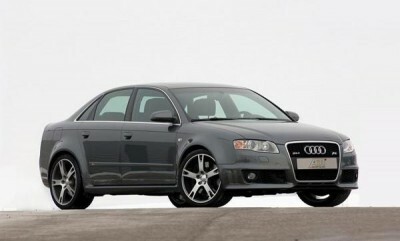 The hands-down winner was the Audi RS4, and it deserved to win. To begin with the Audi RS4 clothes its impressive mechanical performance and power inside an exterior of stunning sophistication. The clean, powerful lines of the Audi RS4 are enhanced by aluminium trim and glittering metallic paint in a stylish range of colours, proudly perched on top of 19″ cast alloy wheels with a seven-arm double spoke design. This level of European class that is the hallmark of the Audi RS4 is continued in the interior, where the uncluttered dashboard and fully adjustable bucket seats give the promise of comfort and technical perfection. But it’s not just the great looks that won the Audi RS4 the coveted winning of Performance Car at the World Car of the Year awards. It’s what’s under that sleek bonnet that counts. The Audi RS4 is powered by a 4.2 litre V8 motor. This powerhouse delivers 309 kW of power at 7800 rpm and a massive 430 Nm of torque at 5500 rpm. What this means in on-road terms is that the Audi RS4 is capable of spinning its wheels to 100 km/hr from a standstill in a brief 4.8 seconds, which adds up to pure exhilaration for the driver. And all of this is completely in the driver’s control, as the Audi RS4 has a manual transmission. Taking the Audi RS4 through all six gears is an unforgettable experience. These days, of course, a car has to perform well safety-wise as well as giving the driver the ride of his/her life. And the Audi RS4 delivers here as well. The front seats in the Audi RS4 come with pretensioners and force limiters, and all three rear seats are three-pointers; the lap belt is shunned as the safety hazard it can be. Head restraints have been provided throughout the Audi RS4, and both front and back passengers will be protected in the event of a crash, with side and curtain airbags all round, plus dual-stage airbags in the front. But the Audi RS4 will do its best to keep the driver out of a collision, the speed-sensitive steering responding quickly to the driver’s commands, and the electronic stabilisation program (which incorporates ABS, electronic differential lock, anti slip regulation and brake assist) will quickly check all the power the Audi RS4 is capable of. The Quattro all wheel drive with asymmetric/dynamic torque distribution will keep the Audi RS4 on the road with ease, while the sports suspension with dynamic ride control smoothes any rough patches out – from the passengers’ perspective. Night driving is also made extra safe with the Audi RS4’s Xenon headlights with dynamic cornering able to swivel and illuminate the road ahead. Comfort and convenience is the name of the game inside the Audi RS4. Driver and passengers can breathe easy and keep cool with the deluxe automatic dual climate air conditioning, which comes fully equipped with sun sensor, pollen filter and air quality sensor. The Audi RS4 sedan has a load through facility and ski bag provided, and the rear seats are split-folding should you need them to. Heated front seats come as standard, and a range of inlay styles are available to complement the Valcona leather upholstery: carbon fibre, matt aluminium, piano finish black or fine grain myrtle nutmeg. Entertainment is provided via the BOSE sound system with 10 speakers that combine to pump out 190 watts of sound (the CD changer is mounted in the glove box so that the clean look of the dashboard isn’t spoiled by too many dials and buttons). Finding your way in the Audi RS4 is plain sailing with the DVD-based Navigation Plus (which has an integrated TV tuner – but who wants to watch the box when you can enjoy the ride?). For any more information on the Audi RS4, or for that matter any other new car, contact one of our friendly consultants on 1300 303 181. If you’d like some fleet discount pricing (yes even for private buyers! ), we can submit vehicle quotes requests out to our national network of Audi dealers and come back with pricing within 24 hours. Private Fleet – car buying made easy!